I have an extract from the book to share with you about smuggling in the early 19th Century and the somewhat surprising role which some vicars played in aiding the smugglers. I also have the chance for you to win a copy of the book. Simply comment below telling me your favourite tipple and I’ll use a random name selector to choose a winner. You can enter up until midnight on Monday 23rd April and I’ll contact the winner on Tuesday. When the war ended with Napoleon’s defeat at Waterloo in 1815, returning soldiers started turning to smuggling to make a living. The government stepped up preventative efforts, using their new coastal defences against the smugglers. The Coastal Blockade was established to provide a constant guard over the whole coast from Sheerness to Beachy Head, day and night. It gradually expanded until it covered the whole of the Kent and Sussex coasts and employed almost 3,000 men, all of whom were sent to work in areas away from their homes to reduce collusion. The smugglers disposed of one or two of the new blockade men by removing the stones that they used to mark the cliff edges at night, and some others by more direct means; but more soon took their place. The blockade wasn’t going anywhere, and smuggling techniques were going to have to adapt to the new regime. The era of open landings was at an end, and the time of tricks and sneaking began. The old riding officers had often been amenable to taking bribes, as was obvious from the fortunes that many mysteriously acquired while on the job. (The riding officer at Herne during the 1730s managed to gain so much wealth that he qualified for a vote, something that was restricted to only the largest landowners.) But attempts to bribe the new blockade officers were trickier to arrange, simply because there were so many more of them, both on land and at sea. A group of smugglers at Rye harbour had succeeded in bribing the two land officers there only to have the HMS Severn unexpectedly arrive, leaving the officers with no choice but to let the ship help them capture the smugglers. The gang were so outraged that they reported the two officers for corruption. Many ghost stories have their origin around this time – a good story could keep the superstitious away from a smugglers’ hideout, and could also explain away any bumps and scrapes produced by handling kegs. The Palace House at Beaulieu, Hampshire was used as a warehouse by a group of smugglers who put on a regular show of otherworldly screams and clanking chains to keep alive the haunting rumours they had spread. Meanwhile, the vicar at Talland in Cornwall was said to be able to raise and lower the dead, and could often be seen in the graveyard at night swinging incense, surrounded by ghostly figures. The handy table tombs there could easily conceal four or five kegs each. But the prize for the greatest ghost act must go to the man who earned himself the nickname ‘Resurrection’ Jackman for his funereal escapade. After he had been a thorn in their side for years, the Revenue had finally gathered enough evidence to try Jackman, and had come to arrest him. They were met by his tearful family at the door and told that he was dead. Being sensibly suspicious of such a convenient demise, two officers insisted on following the funeral cortege the next night as it made its way to Totnes for the burial of Jackman’s unusually large coffin. It was a dark night and the men must have already been jumpy, because when they saw a hooded figure ride up on a black horse with an unnaturally pale face that looked just like Jackman’s, they fled and did not return. ‘Resurrection’ Jackman had covered himself in flour, and gone out play his own ghost. Vicars were often involved in local schemes; a vicar, knowing his congregation well, would usually accept that smuggling was one of the only ways they could make a living. The Reverend Patten of Whitstable even took a tithe from the proceeds of smuggling, as he would have from any profession. He turned in one band only because they refused to pay. The clergy’s role was generally a passive one of helping by turning a blind eye – or, like the rector Phillip Meadows in Suffolk, leaving the door to his stable open so that the smugglers could borrow his carriage. The cooperation of one vicar on the isle of Purbeck was inadvertently revealed when the ceiling of the knave gave way during a service, showering the audience with kegs. Meanwhile, at Hove, the parson seemed genuinely unaware of the use smugglers were making of his church. He had two parishes, Preston and St Andrews, and would preach at them on alternate Sundays; but when one week he mixed up his schedule and arrived at the wrong church, he found a congregation of kegs waiting for him in the pews. There were plenty of other hiding places, apart from churches and graveyards. Pubs were obvious candidates, since they were often the final destination for much of the cargo. Some historic hiding places still survive as interesting features, such as the hidden shaft that runs all the way from the ground to the roof at the Spread Eagle pub in Witham, Essex. It once had no openings except on the roof, and smugglers would lower kegs down on ropes; but it now has a small window cut in at bar level, to show it off to visitors. In the Hastings Arms (in, unsurprisingly, Hastings, East Sussex), a keg could be installed underneath a window ledge on the first floor and connected by a pipe to a tap above the bar for discreet retailing. The last keg is still in place, although not in use. Farms could also provide good storage places, such as basements with entrances concealed by stables or fireplaces. Both would be difficult for the Revenue to get to in a hurry if the fire was lit or the horse had a temper. The basement at Colne Farm had its entrance hidden behind a kiln, and the raid that uncovered it recovered eighty chests of tea, 140 ankers of brandy and 200 bales of tobacco. Haystacks and dungheaps might also be used to hide kegs, either directly or by masking access to an underground store. These arrangements could be perilous: the dung gave off large quantities of carbon dioxide as it fermented in the sun, and the gas could sink down and fill the store. When a group of smugglers opened up their own secret chamber beneath a dungheap in Coldfair Green, they didn’t leave enough time for the gas to dissipate before they went down; all three men passed out, and two of them never woke again. 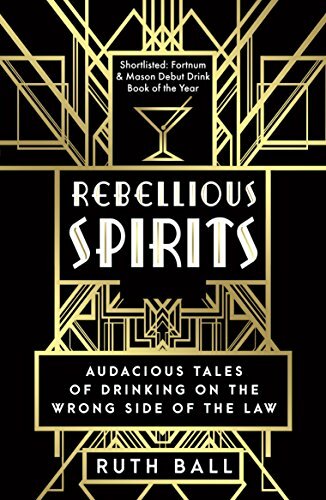 Packed full of historical recipes, from Milk Punch to a Wartime Martini, along with cocktails fromcontemporary bartenders, Rebellious Spirits is a treasure trove for the curious drinker. Ruth Ball is related to Admiral Edward Vernon, the man who invented grog as a way to serve the rum ration to the navy in 1740. She grew up in the Peak District, and studied Chemistry at Imperial College London. 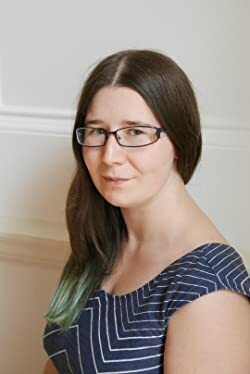 After graduating, she realised Heston Blumenthal didn’t have a graduate programme for scientists, and so founded Alchemist Dreams, a company dedicated to making handmade liqueurs blended to order. In researching traditional spirit-making Ruth found that many of the best sources came from the wrong side of the law – and this book was born. Congratulations Susan – your name was chosen by the random name picker. Can you email portobellobookblog@yahoo.co.uk with your address details please? Looks a great book! Sadly I can’t drink anymore as a result of a stroke last year. However I would fondly remember vodka – a beige with friends (too much vodka, not enough coke) and Cosmopolitans in Manhattan with my friends! !